A reported investment by Chinese tech giant Tencent in Reddit has sparked a backlash on the popular community news site over censorship fears. Last week reports said that Tencent would be investing $150m (£115m) into the platform. China has a strict internet censorship regime known as the Great Firewall and Reddit is among the sites it blocks. 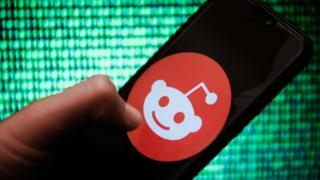 The proposed funding prompted a wave of criticism on Reddit, which many of its users see as a bastion of free speech. Most analysts agree that it is unlikely Tencent or any other such investor would be able to control what content is posted on the site but that hasn’t stopped a stream of memes and protest messages appearing in the past few days. The Reddit platform allows users to share links on any conceivable subject, which are then up-or down-voted, meaning the most popular content surfaces to the top and is more prominent. The platform has 330 million active users and describes itself as the “Front Page of the Internet”. Along with sites like Facebook and Twitter, Reddit is inaccessible in China as part of the country’s Great Firewall. The government’s internet censorship regime uses a series of technical measures to block foreign platforms and controversial content. China-based messaging services -including Tencent-owned WeChat – and social media are restricted, with key words and expressions blocked if they express dissent or ridicule senior political leaders. So the report prompted some concerns among the Reddit community that the site may even face content restrictions outside China in the future. In recent days Reddit users shared images of the 1989 Tiananmen Square protest and Winnie the Pooh in reference to concerns a tie-up with the Chinese firm would lead to stricter content controls. In the past, Chinese authorities have blocked information related to the crackdown against protesters in Beijing’s Tiananmen Square on the anniversary of the event. Search terms such as “six four” – a reference to the date of the event 4 June and “never forget” when typed into Chinese search engines have not returned any results. Winnie the Pooh has also been blocked at times on Chinese social media sites as bloggers compare the cartoon character to the country’s President Xi Jinping. One popular post by FreeSpeechWarrior featuring an image of a man stopping tanks in Tiananmen Square was up-voted on the site more than 200,000 times. Another, posted by ChristopherVDV, shared an image of Winnie the Pooh citing Tencent’s investment had been up-voted more than 37,000 times. “Given that Reddit just took a $150 million investment from a Chinese censorship powerhouse, I thought it would be nice to post this picture of Winnie-The-Pooh before our new glorious overlords decide we cannot post it anymore,” the post read. Still, the level of Tencent’s proposed funding falls far short of full control. A $150m investment represents a fraction of the site’s value, which is thought to be worth as much as $2.7bn. Taipei-based independent tech analyst Sam Reynolds said while some scepticism of Chinese technology firms was “warranted,” Tencent did not pose any risk to Reddit. Mr Reynolds added that Reddit “simply isn’t on the radar of censors”.